As well roll further into fall and winter, the need for comfort food gets greater. 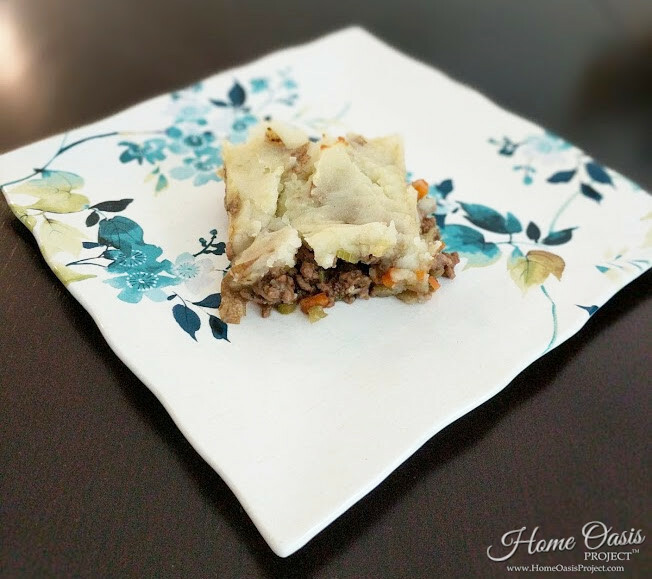 Our Clean Eating Shepherd’s Pie recipe is just want you need for comforting, delicious food. 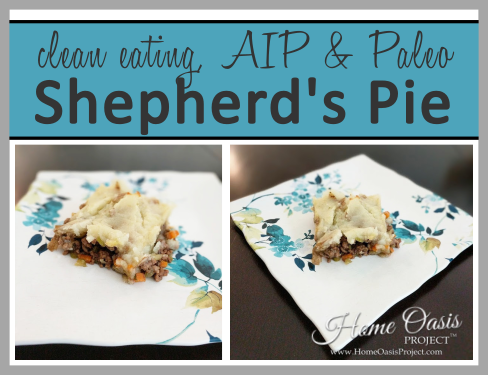 It’s basic, healthy ingredients make it clean eating, and if you’re on AIP or Paleo, it’s perfect for you too. If you’re autoimmune paleo (AIP), you already know that nightshades are a no go on the diet. Unfortunately, that means potatoes are out. 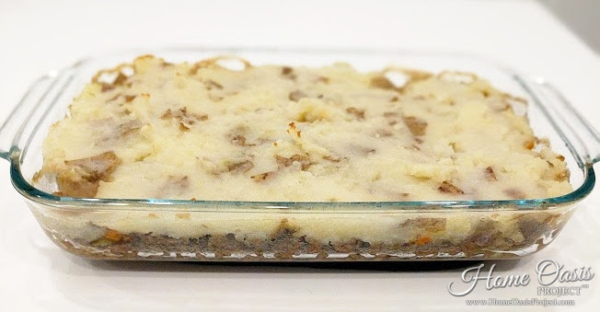 Normally, that would be tragic for a shepherd’s pie recipe as mashed potatoes go on top. Fear not! We have the perfect solution for you – white sweet potatoes! White sweet potatoes are AIP approved, delicious and nutritious. 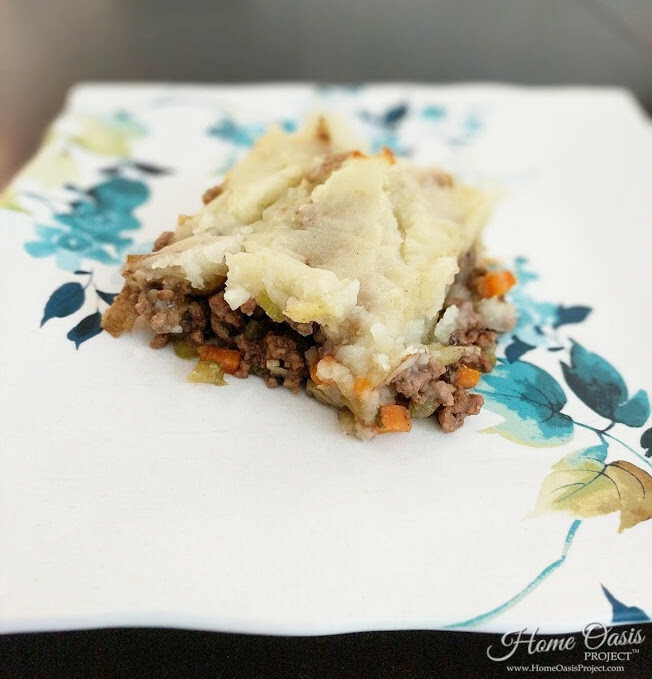 Plus, our Clean Eating Shepherd’s Pie is full of vegetables and bone broth that helps reduce inflammation and heal the gut. Trust us, it’s so delicious that you won’t know it’s Paleo! Prepare the Shepherd's Pie base: Peel and chop the white sweet potatoes. Cook them in boiling water until fork tender. While the potatoes are boiling, prepare the filling. Heat 1 tsp. of olive oil in a large skillet and brown the ground beef. Place the cooked ground beef in a bowl for later, but keep the oil from the beef in the skillet. Into that same skillet, saute the carrots, celery, and garlic for about 8 minutes until they're softened. Once softened, add the kale or spinach and cooked until wilted, about 2 minutes. Stir in the Worcestershire sauce, salt, garlic powder, onion powder, thyme, and parsley. Then stir in the beef bone broth, arrowroot powder, and add the beef back to the skillet. Bring to a boil and then lower to a simmer and cook until thickened, about 5 minutes. Oil a 9" x 13" baking dish or a casserole dish and scoop the filling into it. Finish the potato topping: Once the potatoes are cooked through, drain them and add the chicken bone broth, sea salt, garlic powder, and onion powder. Mash until well combined and resembles mashed potatoes. Spread over the filling. Bake for 20 minutes until heated through and the potatoes are slightly browned.